I love iHome Audio. They have built themselves a nice brand. I admit I had a slightly negative bias against them as “budget” — always finding their stuff on clearance at Big Lots. 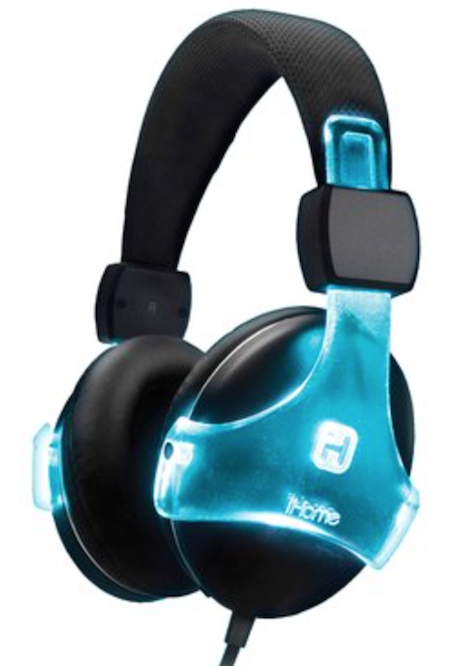 But I have been pleasantly surprised in the recent past with their speaker and headphone offerings, such as the iHome iB37 over ear headphones. I have used quite a few headphones in my life and these are some of the better ones that I have owned. Headphone ownership in my house is very fluid, with one kid after another losing theirs and just grabbing a pair that are close at hand. These iB37 have survived better than my more expensive Skullcandy HESH headphones that were essentially ordinary headphones with no mic and no playback controls. The iB37 have a built in light system that is a colorful light show. The lights are run from the built in USB rechargeable battery. The battery has no effect on the sound so I didn’t test how long it lasts with constant use. My kids love the shifting colors in a dark room. The colors will change from red to blue to purple, green and white. There are several preset patterns but after a while they all begin to look the same and they’re on the sides of your head, so the show is pretty much for everyone else. Best use case for the lights is running at night for visibility. 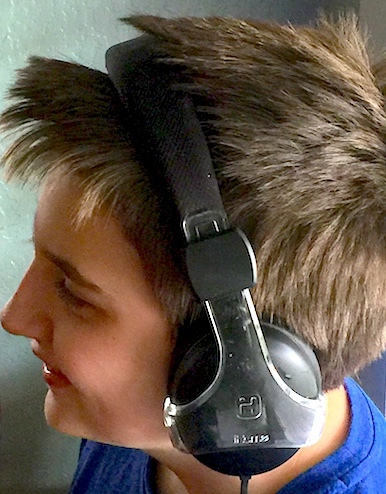 As far as sound goes the ear pads go a good job of blocking out ambient noise. I ran my leaf-vac while wearing them and had no issue hearing podcasts or music. The microphone is excellent and the sound is transmitted to the iPhone and to the other person quite well. The call quality is also excellent; the quality actually takes a little getting used to. Although these are not noise canceling they do a good job of isolating you from outside sound distractions. All in all, these headphones would be perfect if the lights served a purpose or at least would modulate to your particular sounds, so I give a 9 out of 10 MyMac.com review rating.